Liverpool failed to find the back of the net at the KC Stadium on Tuesday evening as Brendan Rodgers' side were defeated 1-0. Steve Bruce was elated with his side's performance as the Tigers aim to steer clear of relegation. I can't see myself going into much detail with this report to be honest as I fear it will simply involve me moaning and going on a right old rant. What I will say is that is was another disappointing performance from Liverpool. The Reds once again had their fair portion of possession but didn't do anything with it. I won't hide from the fact that my main man Balotelli had a pretty poor game but I ask you to name me a player who had a good one? I just seriously get frustrated because the likes of Balotelli and Lambert are much better in a front two, it's pretty pointless to me to play them alone. With Daniel Sturridge injured I don't understand why Rodgers is so stubborn. Brendan Rodgers takes his Liverpool side to Hull on Tuesday and whilst there is sure to be eleven players on the pitch, it's uncertain how many will be in the stands. A boycott organised by Spirit of Shankly in response to the ridiculous variance in ticket prices for supporters travelling to Hull this season means there could be a lot of empty seats. Steve Bruce has also spoken out on the matter today saying "We have to remember the average man in the street because they are the lifeblood of football." It's sad that such extreme action is required for the powers that be to stand up and listen but here's hoping tomorrow's boycott makes some sort of difference. Liverpool were unable to find the back of the net on Saturday against West Bromwich Albion despite having 74% of possession. The Reds appeared to boss the game but were poor in front of goal and Tony Pulis' side kept out any threat with relative ease. Mario Balotelli was given his first league start since November for Liverpool and whilst it was nice to see Brendan start a striker I thought he could have taken this chance to try a different system and offer Balotelli some much needed support. I'm not going to make excuses because aside from some flashes from Balo he offered little else but for me he can bring a lot to the side if played in a proper formation. Liverpool travel to West Brom on Saturday afternoon as they aim to put their last meeting with a Midlands side behind them. The Reds put on a dire performance in the FA Cup semi-final while the Baggies collected a good win away from home at Crystal Palace. Injuries for Liverpool mean they will be unable to call upon Daniel Sturridge and Lucas Leiva with Mamadou Sakho also out. Adam Lallana will be subjected to a late fitness test for the Reds. West Brom are relatively strong with just three players out; Dawson, Foster and Andre Wisdom who is unable to play against his parent club. The last time the two sides met was in October 2014. Lallana and Henderson scored on that day with a Berahino penalty sandwiched in between. The last meeting at The Hawthorns between the two sides was in February 2014 in a game that ended 0-0. Liverpool fell to a heartbreaking FA Cup semi-final defeat at Wembley on Sunday afternoon as Aston Villa secured a fully deserved place in the final against Arsenal. The Reds were extremely poor in a game where Villa shone and showed real determination and desire. The Reds looked lacklustre from the off and were struggling to make any promising moves as Villa zipped the ball around the pitch with ease. Liverpool who perhaps took their opposition for granted took ages on the ball and failed to penetrate the Villa defence with any real threat until scoring at the 30 minute mark. It was a goal the Reds desperately needed as things began to look more and more difficult for Brendan Rodgers’ side in a game that really they should have had under control. The goal saw a link between Sterling and Coutinho, the latter netting from inside the box after a deflection from the Villa defence. It was elation for Liverpool as they had finally sprung into action. Wem-ber-leeeeey, Wem-ber-leeeey! We're the famous Liverpool and we're going to Wembely, Wem-ber-leeeeey... oh soz! It's match preview time innit? I do apologise only I've been MEGA excited for this match and it's all sort of bubbling over now. At 3pm tomorrow the Reds will line up at Wembley to face Aston Villa in the FA Cup semi-final. In a season that appears to be ending with the Reds just missing out on the top four (not set in stone yet) there is a hell of a lot riding on this game. Injurires for Liverpool mean they are almost certainly going to be without striker Daniel Sturridge who has a hip problem. Also unavailable for the Reds is Mamadou Sakho whilst Adam Lallana will be subjected to a late fitness test. It is presumed that Mario Balotelli will return after a period of illness and positively both Steven Gerrard and Martin Skrtel are back from serving suspensions. Liverpool progressed to the semi finals of the FA Cup on Wednesday evening after a 70 minute Philippe Coutinho strike was enough to see Brendan Rodgers’ side through. It was a tough game for the Reds who held a lot of possession but did little with it. The game appeared to start well for Liverpool who quickly created chances via the likes of Raheem Sterling and Joe Allen. At 27 minutes though an already bodged Liverpool back four saw Mamadou Sakho leave the pitch with what looked like a hamstring problem. Kolo Toure took Sakho’s place in what turned out to be a pretty good move. Toure had a right mare against Arsenal however he is an experienced defender and these are the sort of games he thrives in. 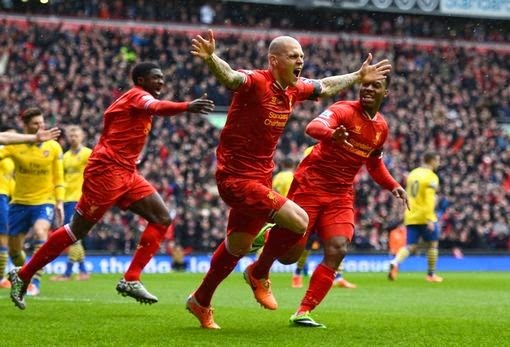 Liverpool travel to Blackburn on Wednesday evening as they aim to secure a place in the semi finals of the FA Cup. The Reds are still attempting to recover after a disastrous defeat to Arsenal at the weekend and with rumours of dressing room bust ups also doing the rounds, it is vital that Liverpool are focused on Wednesday in what realistically is their last hope of any glory this season. Injuries for the Reds mean they are still without Jordan Ibe whilst Mario Balotelli will be subject to a late fitness test. Brendan Rodgers will however be unable to call upon Steven Gerrard, Emre Can and Martin Skrtel who are all serving bans. For Blackburn they are unable to field Jay Spearing who is cup tied, whilst doubts are hanging over the likes of Gestede, Hanly, Conway, King and Dunn. Liverpool fell to a disastrous defeat on Saturday afternoon as Brendan Rodgers was forced to watch his side lose 4-1. In a game that could make or break the Reds' season, it was always going to be a difficult task but surely not one that would result in a hammering. Rodgers started with a very protective midfield line up consisting of Allen, Henderson AND Lucas. Whilst it was clear the aim was to protect the recently changed back three due to the missing Martin Skrtel, the overly protective set up had a massive effect on Liverpool's attack. 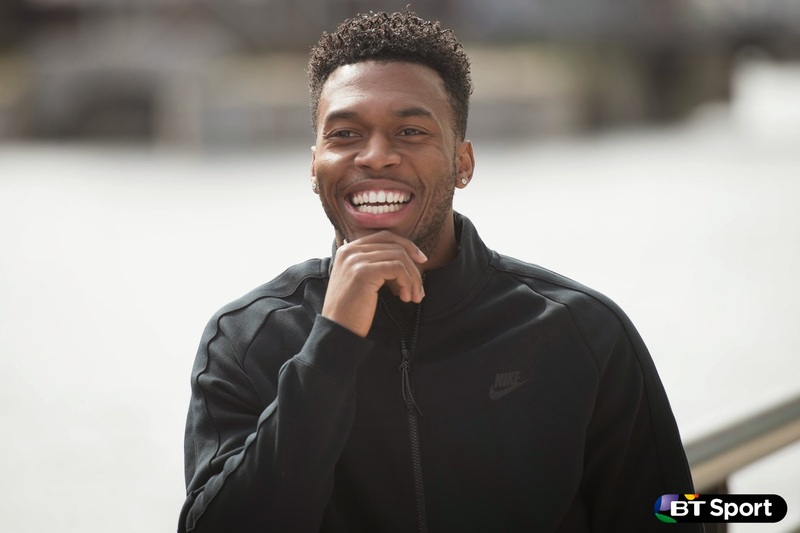 Raheem Sterling was chosen to start up front whilst Daniel Sturridge made the bench. Mario Balotelli who is apparently "injured" did not even feature in the line up. The Reds currently find themselves 5th in the table on 54 points after losing their first league game in 14 against Manchester United on 22nd March. It was a big blow for Liverpool who could have leap frogged van Gaal's side if they had collected all three points. Arsenal are sitting in third on 60 points having won their last six fixtures in the league.